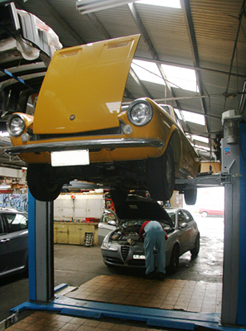 Trained in Italy, our head mechanic, Carmine (pronounced Kah-min-eh), has over 25 years experience working on Italian cars. 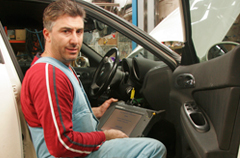 Our workshop is equipped with specialist factory tools, including Alfa Romeos' "Examiner" computer system. This means your car is back on the road sooner. 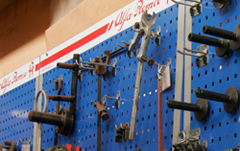 Remember with our huge range of new, reconditioned and second hand parts, you won't find yourself waiting for parts to arrive. 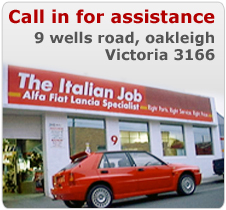 We get you driving sooner, running perfectly as Alfa intended, our attention to detail and perfection is always our aim and customer satisfation and value our prime consideration.